With activist investor Bill Ackman pushing to buy Botox maker Allegran in a bid with upstart Valeant and restructurings under way at pharma giants GlaxoSmithKline, Eli Lilly & Co. and Novartis, it’s logical to question whether biotech giant Amgen will be next. So far the answer seems to be “not yet” — with one big caveat. 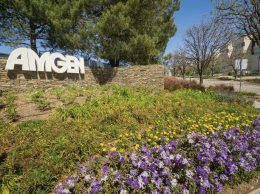 Amgen’s disappointing first-quarter earnings report rocked its share price, and there will now be tremendous pressure on CEO Robert Bradway and the rest of the top brass in Thousand Oaks to produce promised financial results for the year. Amgen surprised investors on April 22 when it reported sharply slower sales for its arthritis drug-superstar Enbrel and a miss on both earnings and revenue for the first quarter. A review of the company’s conference call indicates that a big chunk of the miss relates to wholesalers stocking up on Enbrel and other products at yearend, which led to weaker than expected results for the quarter. Amgen said net income fell 25 percent to $1.07 billion, or $1.40 per share, down from profits of $1.43 billion or $1.88 per share in 2013. The year earlier results were bolstered by a large tax benefit. Revenue grew seven percent to $4.52 billion, slightly below Wall Street expectations. And with the miss came the first murmurings from analysts, cited by Forbes.com, about whether Amgen investors would be better off if the Thousand Oaks firm separated its slower growing but highly profitable blood and arthritis drugs from newer treatments such as Prolia, an osteoporosis drug whose sales jumped 38 percent. The argument for keeping Amgen intact goes something like this. Here is a company that has a terrific portfolio of promising treatments that needs a lot of cash to bring them to market. Legacy drugs produced $1 billion in free cash flow in the first 90 days of 2014 and the company ended the quarter with $23 billion in cash on hand, up $2 billion from a year ago. The company also has increased the dividend to common stock holders, and Bradway has signaled to friends and foes alike that he intends to maintain a delicate balance of rewarding shareholders, funding research and making bold moves such as the purchase of Onyx Parmaceuticals last year. The company has taken to heart warnings from the activists that too many pharma giants are ripe for cost cutting and it has been trimming its workforce, including eliminating positions at its Thousand Oaks flagship campus. 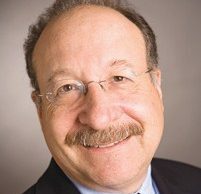 The arguments for a breakup are not terribly well formed, but hypothetically they would involve a two step process that begins with leaving legacy Amgen largely intact, albeit taking a sharp axe to costs. The legacy company likely would also include the ongoing efforts to create its own branded “biosimilars,” industry speak for generic versions of blockbuster products such as Epogen that will eventually come out of patent protection. Step No. 2 would be to create a more nimble organization to bring the company’s fairly rich pipeline of late stage drugs to market or to sell off promising products as they get ready to hit the market. And therein lies the problem: Right now nobody has thought up a better way to fund Amgen’s stage two without dramatically increasing shareholder risk. Until Amgen gets into such trouble that its stock price reflects much slower growth prospects or until it finds a new pipeline that is either too weak to sustain growth or so strong that it’s not fully reflected in the stock price, hedge funds and shareholder activists will give it a pass. 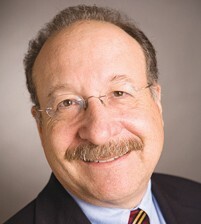 In his conference call, CEO Bradway talked about 2014 as a “data rich” year. If the data turns up the way he expects, Amgen will get through the current consolidation wave with its assets largely intact.